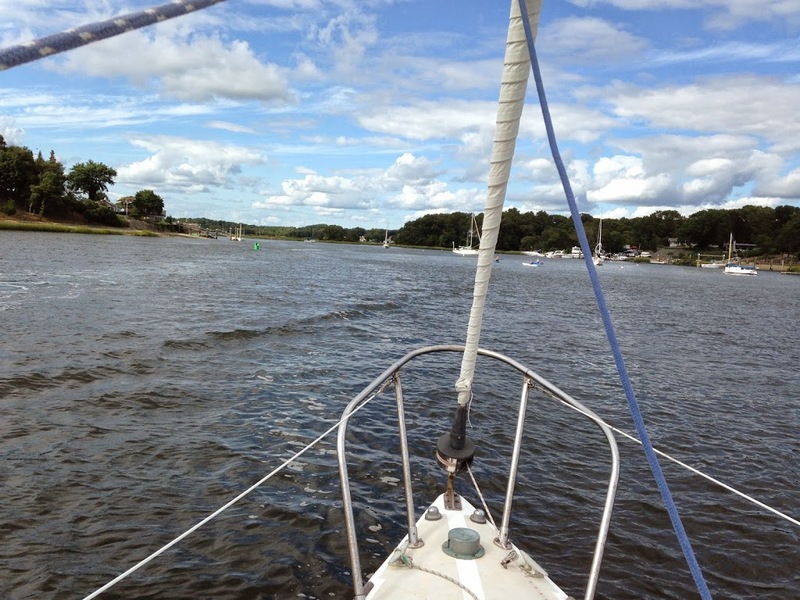 Sailing aboard the mighty Sea Spy this weekend was an unexpected joy. A bloody, ruddy joy, I say. I mean, how often does one get a chance to sail aboard a true original? Yes, yes, yes, folks, I’ve literally sailed aboard boats that are worth millions of dollars but nothing, absolutely nothing, can compete with the vintage, and the authenticity, and the plywood-ness, and the patina of an early 70s O’Day 27. A veritable yacht in its day and one that’s kept to a high degree of genuineness by our friends on the tony eastern shores of the Kickemuit River on the Rhode Island-Massachusetts border. …I was overcome with dejavu. 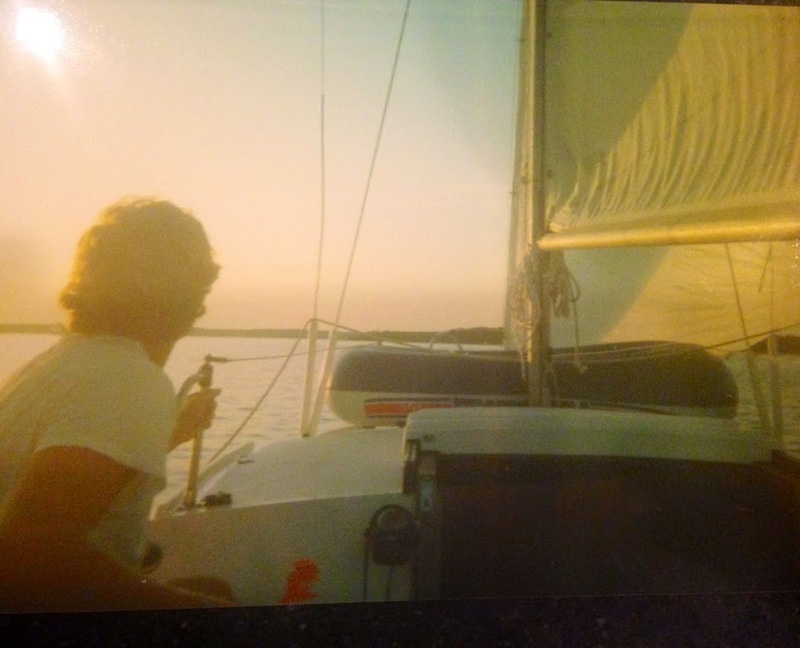 Absolutely overcome with memories of my wonderfully painful misspent youth that was spent aboard a 24-foot Bahama Islander with 4-foot headroom, and non-shoal-draft friendly 4-foot draft, on the warm and terrifying waters of Pleasant Bay, Cape Cod, USA, that was eerily similar to the regally real O’Day 27 myself and the Honey Bunny found ourselves pleasure cruising aboard last weekend. And maybe I’m not quite ready for those memories just yet. 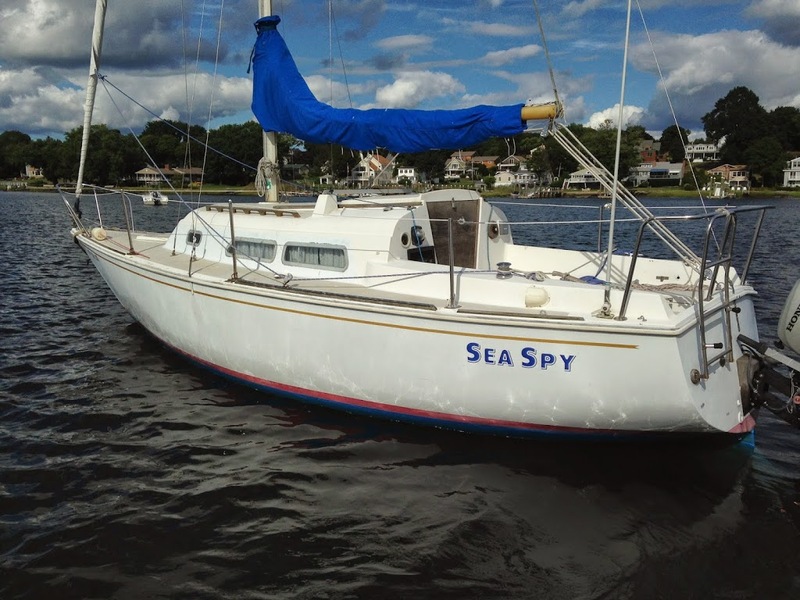 I mean, everything, from the “original” 40-year-old mainsail, to the faded wooden tiller, and the ultra-70s interior of the mighty Spy stirred up memories of going aground, and almost getting run down by lobster boats, and being boarded by the Coast Guard, and “navigating” by nothing other than an ill-fated philosophy of “keeping the land on the left,” and scaring the living daylights out of myself and some unsuspecting “friends” in fog, and high winds and steep Buzzards Bay chop, that I’m not quite ready to fully unearth…Yet. But do stay tuned because it’s a doozy of a tale. An absolute whopper, I say. And while I’m not ready to fully let the cat out of the bag about the magical, painful, and transformative summer of 1993, I did find it within myself to go down into the old desk where I keep my old photos in the basement of our charming little land-based house that was built in 1919, and dig up one of the few remaining images (above) from my old 24-foot home on the water that was at many, many times the loneliest place in the world. 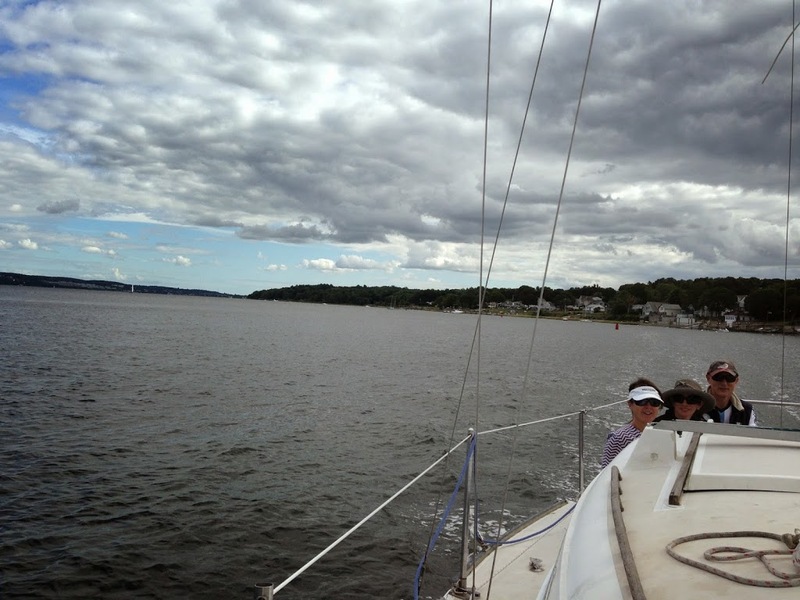 Notice the 40-year-old mainsail? And the old fishing compass that I thought was “wrong” when the land stopped being on the left. And the orange sticker the “Harbormaster” stuck on the cabin for some ridiculous bureaucratic reason and for the icing on the cake—the pool toy dinghy that was my only means to get from ship to shore in those halcyon days of poverty and poetry. I’m going to finally tell the tale because I owe it to the little one. Any kid who can moonwalk like this deserves to know what his Daddy was like before he was born don’chathink? Seriously, do check back here to read the tale and to see what other photos turn up. I guarantee you’ll feel better about yourself. Sailing Shout-Out: Exotic. Iconic. Cuba.